Railpictures.ca - Michael Berry Photo: Caboose CN 79834 is parked in the town of Vankleek Hill. This caboose was used for backup moves on the L’Orignal Spur, but I am not sure if it still in use. Either way, it is in very dire shape. | Railpictures.ca – Canadian Railway Photography – photographie ferroviaire Canadienne. 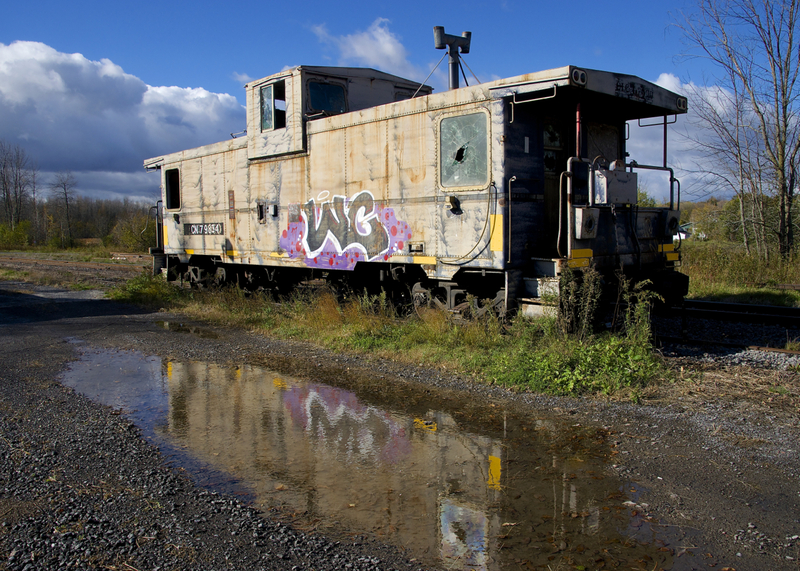 Caption: Caboose CN 79834 is parked in the town of Vankleek Hill. This caboose was used for backup moves on the L'Orignal Spur, but I am not sure if it still in use. Either way, it is in very dire shape. Good you grab a pic of it, never know how long it’ll be there for!